Man Cave must-have! neon helmet desk lamp in your favorite team's logo and colors! let your team pride shine! 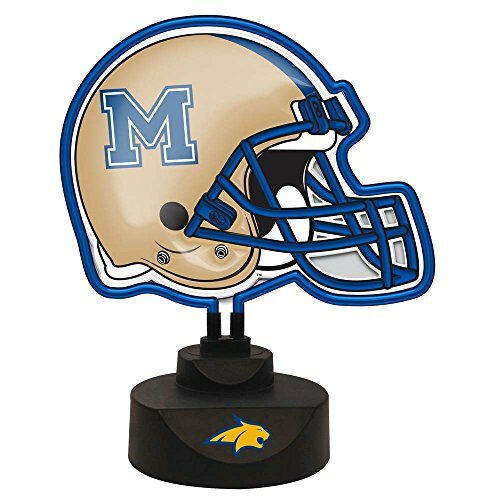 this desk lamp features your favorite football team's current helmet design highlighted by neon lighting, adding a new wrinkle to your game-room decor. The lamp sits atop a Resin base. Stands 11 inch h. 120V. If you have any questions about this product by The Memory Company, contact us by completing and submitting the form below. If you are looking for a specif part number, please include it with your message.